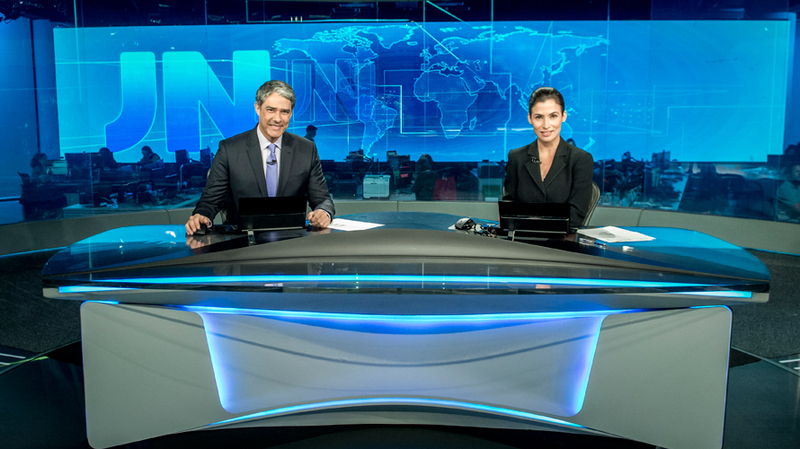 William Bonner and Renata Vasconcellos host Globo's nightly newscast. Bonner has co-anchored the program since 1996. RIO DE JANEIRO—There aren’t many TV shows that command half of the available audience. But Globo TV’s national newscast, Jornal Nacional, can draw that level of viewership on any given night, which it did the night of Aug. 21 when we toured the new studio and newsroom of the 48-year-old program. Forty-nine million Brazilians watched the one-hour newscast that night. It airs weeknights at 8:30 p.m in a country that has 66.49 million TV homes. By comparison, 33 million viewers tuned in for the Oscars telecast in the U.S. this year, and the three U.S. network evening newscasts average a combined 22 million viewers a night in a country with 119.6 million TV homes. When we met in his office at Globo TV headquarters in Rio de Janeiro last week, one of Boni’s computer monitors was tracking the real-time audiences of Brazil’s four commercial broadcast networks. (An app on his phone would gave him the real-time ratings of Jornal Nacional as we watched from the control room.) At any given minute, Globo TV has more audience share than the other four networks combined. But like all media companies, Globo is looking beyond TV. 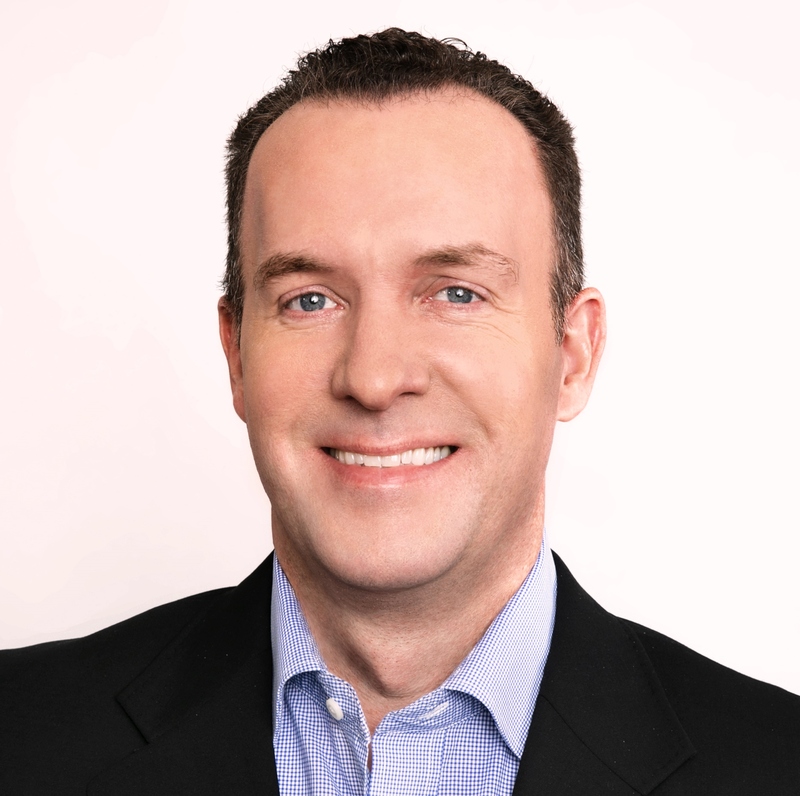 Video content—whether news, entertainment, or sports—is available to subscribers of its 2-year-old streaming service, GloboPlay, or as Boni calls it, “our personal Netflix.” According to Globo TV CEO Carlos Schroder, about 14 million people have downloaded the app, which offers free content, and 500,000 are paying $4.70 per month for the full slate of programming. News is the cornerstone of Globo, which launched in 1925 with the Rio de Janeiro morning newspaper O Globo. The newspaper now operates as a separate entity, with the third generation of the Marinho family, Brazil’s wealthiest, in command of holding company Grupo Globo, Latin America’s largest media conglomerate. Globo produces five hours of news every day—three from Sao Paulo and two from Rio de Janeiro—for five owned stations and 123 affiliates throughout Brazil. Up to 50 million people watch the newscast every night, double the combined viewership of the three U.S. network evening newscasts. In 2000, the Rio-based company made a multimillion-dollar investment in building out its news operation in Sao Paulo, Brazil’s largest city. “It’s a message the company sent to people who live there and advertise there,” Boni said. “Newspapers are dying. Radio does not have the same kind of budget it used to have,” said Boni, who got his start as a reporter at Globo Radio 28 years ago. From a gleaming, 5-week-old, 11,000-square-foot integrated newsroom and studio in Rio de Janeiro, hundreds of journalists from news programs, 24-hour cable channel GloboNews, the international news desk and digital news site G1, work side by side with more than 2,000 employees across Brazil and worldwide. Globo has bureaus in the U.S., U.K., Italy, Germany and Japan. In the U.S., it partners with ABC News for newsgathering and, after failing to come to terms with CNN last year, is a client of MSNBC. Boni’s proudest accomplishment—even more than the 53-foot-wide, retractable LED screen built into the new studio, which when raised, brings natural light into the newsroom—is the trust Brazilians have put in Globo for more than 50 years. With its vast reach and decades of ratings dominance, Globo had a reputation as a kingmaker in Brazilian politics, but Boni says that’s not the case anymore. This story is one in a series of reports on the global impact of Brazilian media and marketing, and the legacy of the 2016 Rio Olympic Games.